ROME, Jul 28 2017 (IPS) - Access to justice is often out of reach for migrant workers in South-east Asia, the United Nations labour agency reported in a study that shows that non-governmental organisations are assisting more often than government officials or trade unions. Migrant workers continue to face major obstacles to lodging and resolving complaints, the UN International Labour Organization‘s (ILO) finds in a new study on Access to justice for migrant workers in South-East Asia. The results show that some progress has been achieved in increasing access to justice for migrant workers in recent years. Remedies awarded to migrants in the cases resolved by the Migrant Worker Resource Centres included 1.62 million dollars in compensation. “Barriers to accessing formal assistance are one of the key reasons why migrant workers are vulnerable to labour rights violations during recruitment and employment,” said Tomoko Nishimoto, ILO Assistant Director-General and Regional Director for Asia and the Pacific. Lack of written evidence, high cost of legal assistance, fear of retaliation and language barriers are among the challenges to accessing justice noted in the report, which has been released ahead of the World Day against Trafficking in Persons, marked annually on 30 July. The report authors argue that there is a substantial and largely unmet demand for fair and responsive remedies in the countries surveyed. The study is based on complaint case data gathered by Migrant Worker Resource Centres from 2011 to 2015. Detailed information on over 1,000 cases involving more than 7,000 women and men migrant workers was documented in Cambodia, Malaysia, Myanmar, Thailand and Viet Nam, establishing the largest regional dataset of migrant complaints compiled within South-East Asia, according to the UN labour agency. 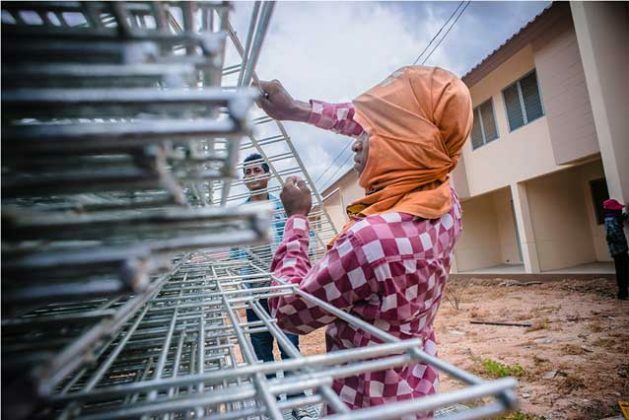 “Migrant workers’ vulnerability to exploitation is exacerbated by the absence of fair, efficient and accessible means to resolve grievances when they occur, said Ben Harkins, Technical Officer for the ILO TRIANGLE in ASEAN programme and lead author of the report. The report underlines the important link between the lack of effective channels for migrants to denounce abuses and cases of forced labour and human trafficking. “It is clear that these demands are not adequately met through enforcement of labour and human trafficking laws currently and that greater efforts are needed to ensure that migrant workers are provided with just remedies,” said Harkins.